Late last week the hubs and I enjoyed a lovely stay-cation. My favorite hobby of all time is watching tv and/or movies. I would be a professional couch potato IF it would pay the bills :) We watched some oldies but goodies that I had never seen including Dr. Zhivago and Fiddler on the Roof as well as the more recent The Perks of Being a Wallflower. LOVED them all you must watch them if you haven't seen them yet. Good times! This week has been dedicated to professional development. It will be all five days this week from 8-3 p.m. Very difficult to sit still and listen for that long. YIKES! How do people in other professions do it?!? On a side note I think that it is hilariously ironic that presenters say over and over again the importance of differentiation and then give every teacher the EXACT SAME PRESENTATION. However, something that I found extremely valuable from today's workshops came from the 20 Brain Break Clips: Fight the Fidgeting! There are some cute/entertaining music video ideas on this site. And of course you can't forget the gobs and gobs of great brain break ideas on TPT. Last week I mentioned some of the goodies that I had picked up from the dollar spot at Target. I was going back and forth between whether or not I wanted to pick up a few pairs of clear lens glasses that were also there. Thanks to the advice of EmilyK from 4321...Teach I decided to go and pick up a few pairs of glasses. My hesitation resulted in only being able to pick up six pairs (maybe that's all I'll need). 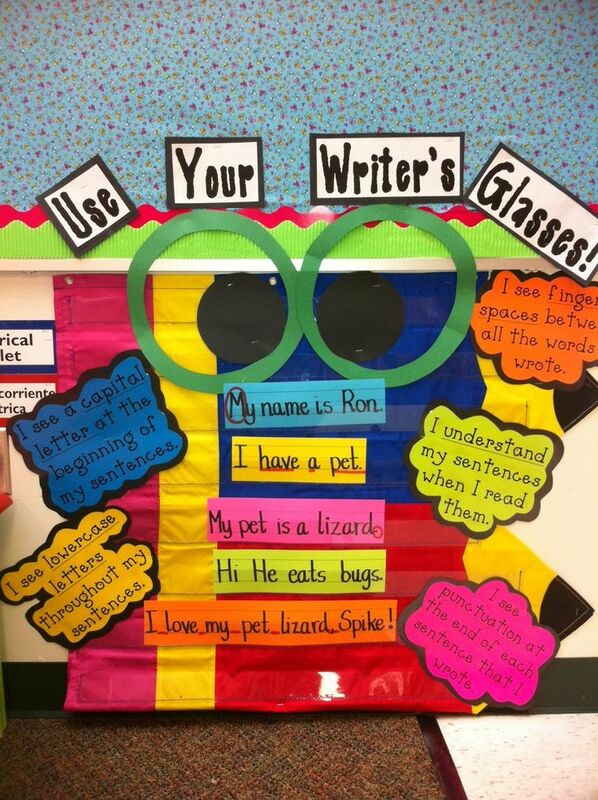 My plan for these glasses is for the students to use them while editing and revising their writing. I want them to make sure that they are taking a closer look to find spelling, punctuation, etc... errors. I also found this pin on Pinterest, which I love but is from a second grade classroom so I may need to make it a little more "grown up" for my fourth graders. When I asked y'all's advice following my Editing & Revising post EmilyK commented that she read in Notebooking Know How, Aimee Buckner suggests the kids read their writing from last word to first word. That way they are looking at each word, and the text isn't supposed to flow. It would be cute to call these "Backwards Reading Glasses." Love it-SOLD!
. 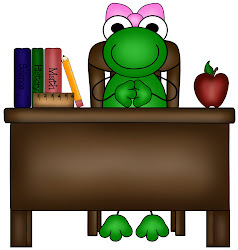 . . then I read Brandee's post, from Creating Lifelong Learners, this morning about another great way to use glasses. Her post speaks about using reading glasses (with the glass removed) to encourage her students to read critically. I love this too! You can read more about it HERE. So now I'm wondering if I can incorporate the glasses in both subject areas, reading and writing. The point is the same, reading critically. What do you think??? I was looking around Pinterest and I found another "must have" math game for the fall. It is called Math Power Towers and comes from Fabulous in Fourth! I love how easy it will be to collect the materials and create the game. In fact, I think that I will even suggest it to parents for an at home game. You need empty Pringles can (yum-I love those chips! ), bathroom sized solo cups, and a sharpie. Click the picture for a direct link to the blog and Kelly's directions for making and using the game. Such a Slacker . . . 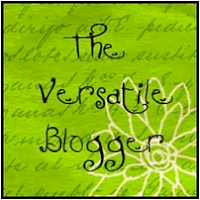 Giveaway and a Freebie from 3 Teacher Chicks!